Nebraska hit the practice field Friday morning, officially kicking off the start of fall camp. The team then took to the practice field again Saturday morning. The Huskers are expected to be in full pads Sunday, which is something the team has been looking forward to. "Gonna be a lot of pads popping," senior outside linebacker Luke Gifford joked at Thursday's pre-fall camp press conference. While the media hasn't been able to watch practice yet, Nebraska has released a few videos from post-practice so far. Wide reciever Stanley Morgan Jr., offensive lineman Matt Farniok and inside linebacker Mohamed Barry, alongside coach Scott Frost, all offered their thoughts on the first couple of days of fall camp. Part of that is keeping energy high. 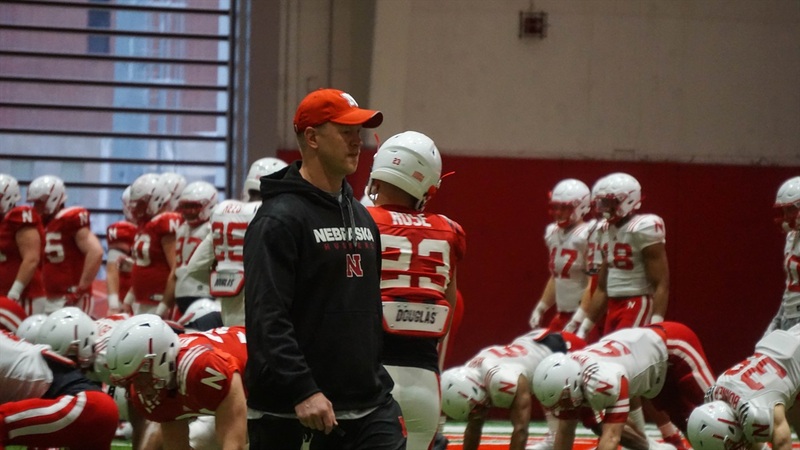 That was an issue at times this spring, so Frost hopes to correct that in fall camp. While it's only been two days in, so far so good. Fans can expect to hear plenty from Sunday's practice. There's something to be said about the first practice in pads, so players will likely chime in on social media. For now, we have the videos. And those videos show a group excited about getting things kicked off. “It’s just exciting,” offensive tackle Matt Farniok said. “We’re playing football again and we obviously don’t have pads on yet, those go on [Sunday].